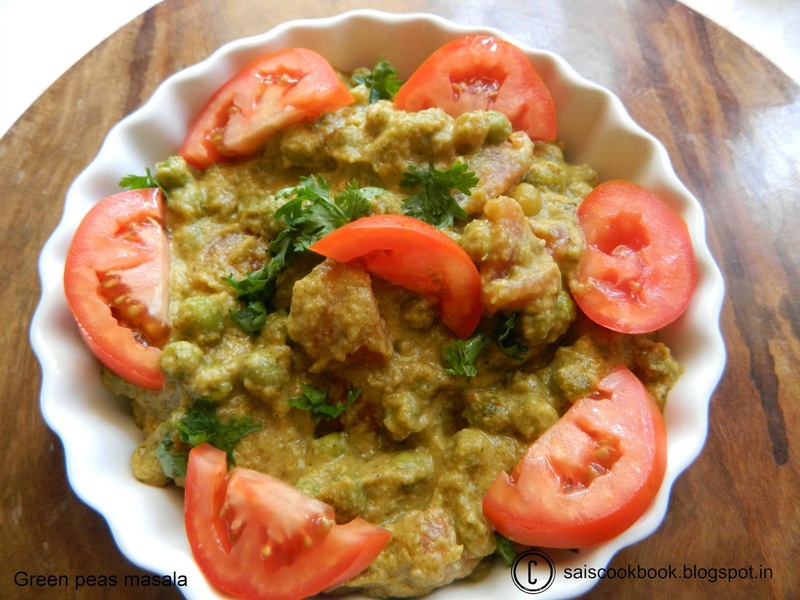 Green peas masala was always our childhood favourite dish. Papa used to get it from the most popular Woodlands restaurant every Saturday and Amma used to prepare her superhit vegetable Pulav.Yes, that used to be the Saturday tradition back then.Recently while browsing few blogs I found similar green peas masala in Jeyashri’s blog and I thought of trying it.The dish came out too good,very near to the restaurant style. I prepared Puri as a combination which complimented well .It also makes a great combination with chapathi and pulav. Fry the ingredients mentioned under the list ‘to be fried and ground’ for 7-8 minutes and then grind it to a fine paste. Grind the cashewnuts along with the curds to a fine paste. Heat oil in pan and fry the onion paste for sometime,followed by cashew paste. Add garam masala powder,tomatoes,salt to taste and the green peas. Add water and adjust the consistency,take boil,add milk and simmer for few minutes. Lastly add kasuri methi and serve it hot. If using frozen green peas add directly,if using fresh ones cook it and add. 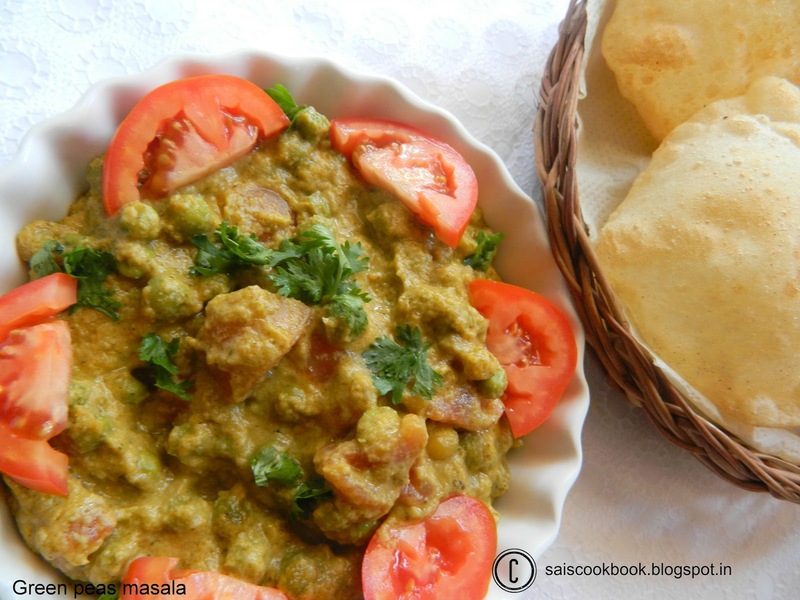 I used fresh frozen green peas which I had stored,cooked it for few minutes and added. 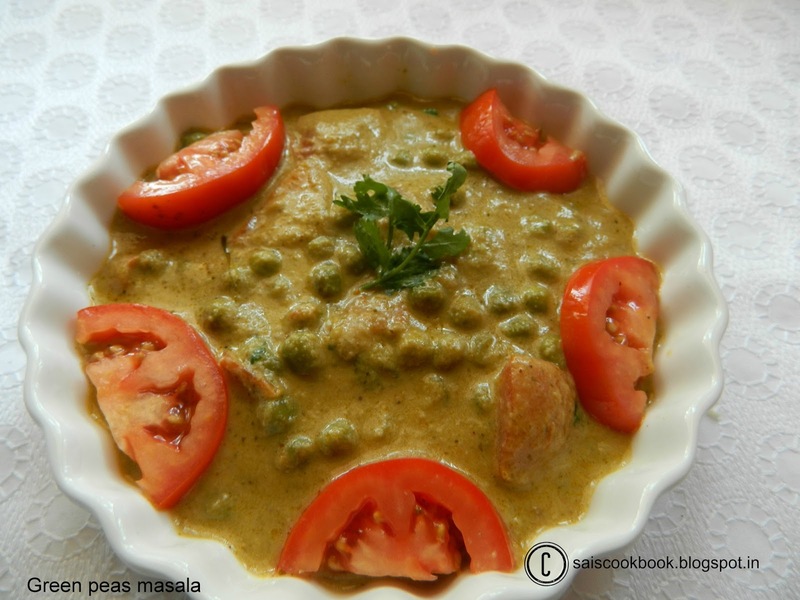 Delicious green peas masala, Love your version. 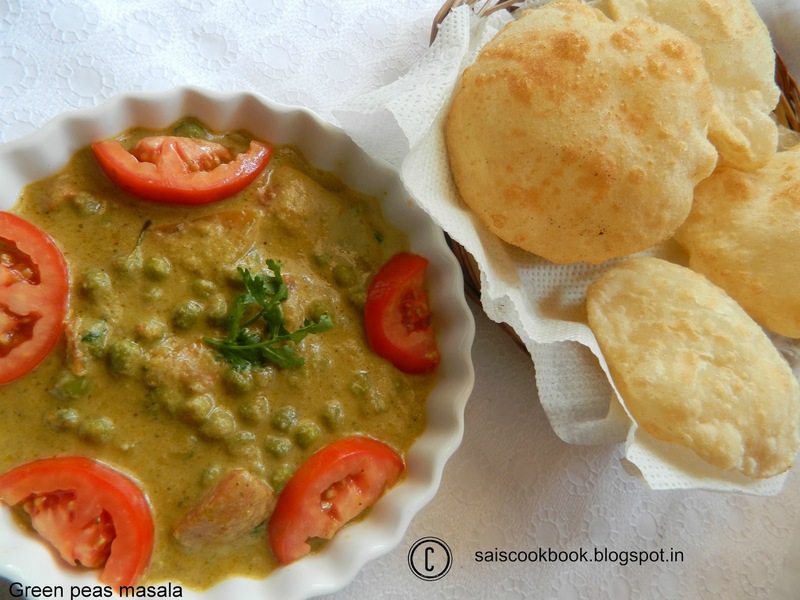 Delicious green peas masala love your version. This looks great. Sure it was a hit there. looks awesome!.. perfect with poori. I can finish the whole plate. looks so good. Bookmarked.